Tip #30: Do-it-Yourself — So Your Tenant Won’t! You may change you mind if your tenant damages your wood trim installing blinds or cracks a window installing portable AC units. The real fun begins when the tenant move out — and takes those blinds, the shelving, light fixtures, or dishwasher with them, leaving a gaping hole. Repairing the damage is going to cost you time in re-renting. If your lease isn’t crystal clear, your tenant may dispute your deductions from their security deposit. If the damage is significant, the deposit may not cover it, and you will have to chase after them in court. DO include terms in your lease that prohibit tenant “improvements” to your property. That way, you avoid walking into your unit to find that the tenant tossed the old curtains and rods, installed a heifer-sized dog door, drilled nail holes in your window trim, or removed the carpet to expose the rutted, gummy wood flooring. DON’T leave your unit too bare-bones — that only encourages the tenants to DIY. Install suitable window coverings, storage and appliances that stay with the unit. All the comforts of home. 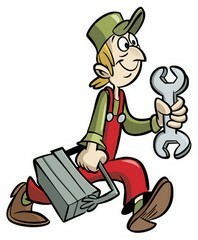 DO repairs yourself or under your supervision whenever possible and as soon as possible. Allowing the tenant to do upkeep is rarely worth it. DON’T forget to thank your tenant for coming to you first and asking if it’s okay to make changes or add personal touches.